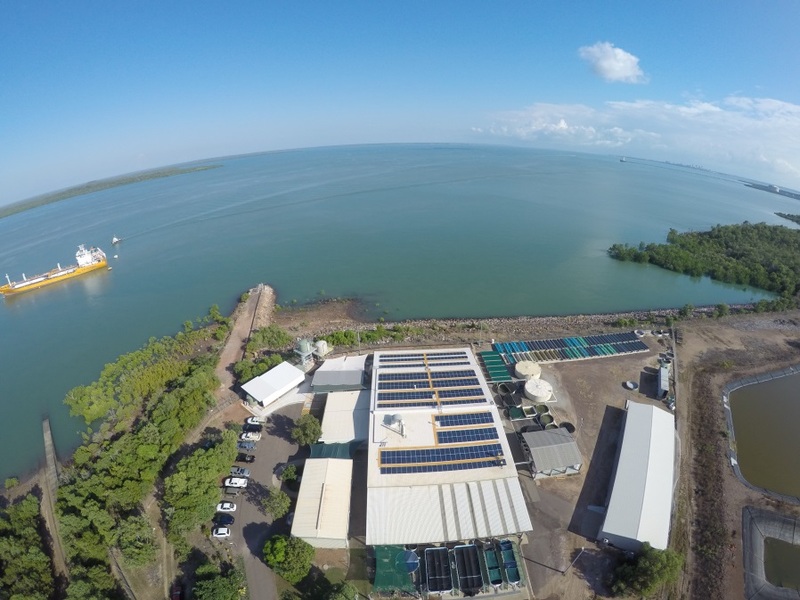 The Darwin Aquaculture Centre (DAC) has a new solar system that will save $40 000 a year in energy costs. "Our photovoltaic system converts sunlight directly into electricity to produce around 400 kilowatts a day. That's enough to power the equivalent of 20 homes—enough to run most of our operations during daylight hours," said Damon Gore, DAC Manager. "As a dedicated aquaculture facility, we use a lot of filtered saltwater, pumping up to three million litres every 24 hours—more than enough to fill an Olympic-sized swimming pool. "We're committed to reducing our power consumption and the cost of our cyclone-coded solar panels will pay for itself within 15 years. We've also reduced our power consumption by using energy-efficient lighting on timers and installing pumps that use a third less energy," he said. DAC is managed by the Northern Territory Department of Primary Industry and Fisheries to support the Territory's aquaculture industry. Located on Channel Island in Darwin Harbour, its research program has areas dedicated to fish, molluscs, echinoderms, algae, live feeds and environmental control.